Illegal logging and deforestation are major environmental problems that our country is facing today. A study released by the Philippine Congress years back revealed that about 123,000 hectares of the country’s forest cover are lost every year. If nothing is done to stop these trends, the Philippines’ lush forests and wildlife, as we know it, will be gone by 2036—exactly 18 years from now. A possible solution to this pressing problem is a bill proposed by Congress that mandates parents to plant two trees for every born child and it’s only a matter of time before it will be passed into law. Official statistics previously showed that there are about three babies born per second on average. If the bill will be enacted, (allow us to do the math for you) 8,740 seedlings will be planted a day, which will total to up to 3,190,100 seedlings per year. Well, that is if everyone will participate. One of the provisions of the bill states that the parents should comply with the tree planting requirement in order to receive a copy of their child’s birth certificate. The bill is authored by Tarlac Representative Noel Villanueva and Compostela Valley Representative Carmen Zamora. 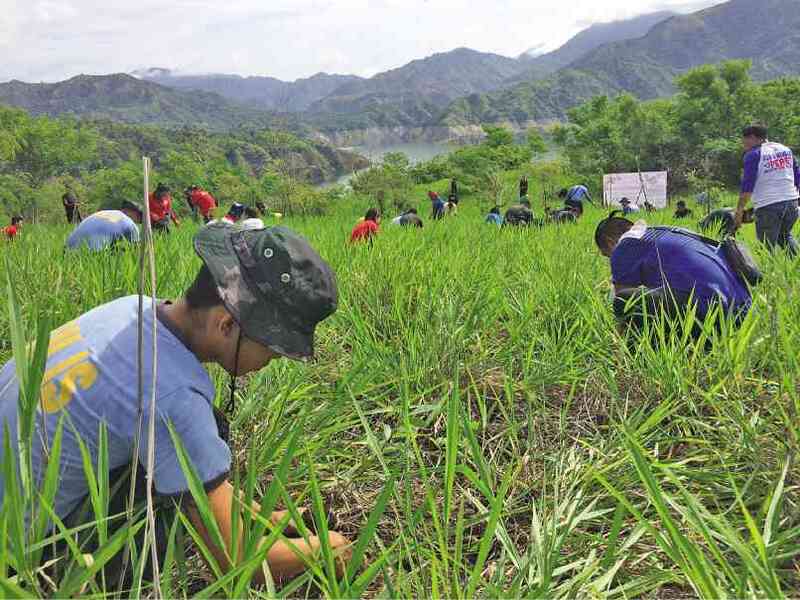 It is said that the “seedlings must be planted within the premises of the parents’ own home or in an area to be designated by the barangay council where the family resides.” The tree planting sites must be approved by the Department of Environment and Natural Resources (DENR). However, the plant species must also be deemed suitable to the location, climate, and topography of the area in which the parents are settled. A seedling bank will be established and managed by the community arm of the DENR so that seedlings are readily available to couples. Once the tree planting activity is completed, the barangay chairman of the family’s place of residence will supply a certificate, which will then be presented to the registrar. The bill is just one of the government’s initiatives to find a solution to this environmental issue. Last month, the House Committee on Appropriations approved a substitute bill requiring graduating elementary, high school, and college students to plant a minimum of 10 trees each as a prerequisite for graduation. Likewise, a bill requiring applicants of any building permit to submit a tree planting plan was passed on second reading earlier this year.